These burgers, folks. These burgers. I’ve had a lot of veggie burgers in my day. Those weird, flubby Boca ones, some delicious, but a-bit-soggy Dr. Praeger ones, some bland restaurant-made patties, the list goes on. 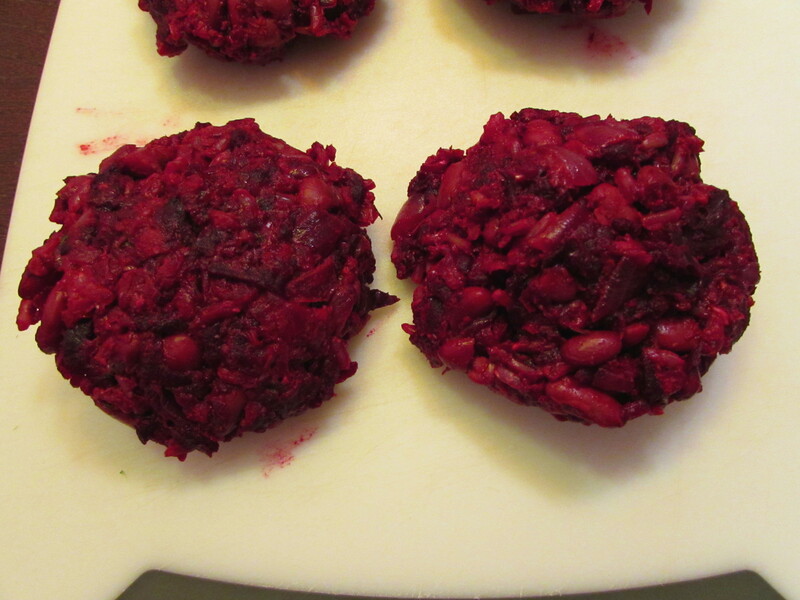 Then I went to Smorgasbord in NYC last summer, and tasted my first beet burger. 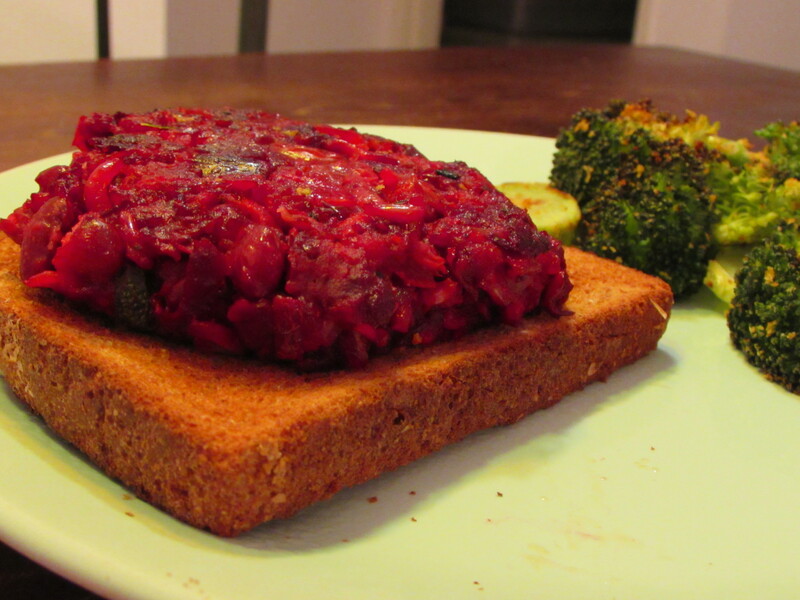 My veggie-burger life completely changed. 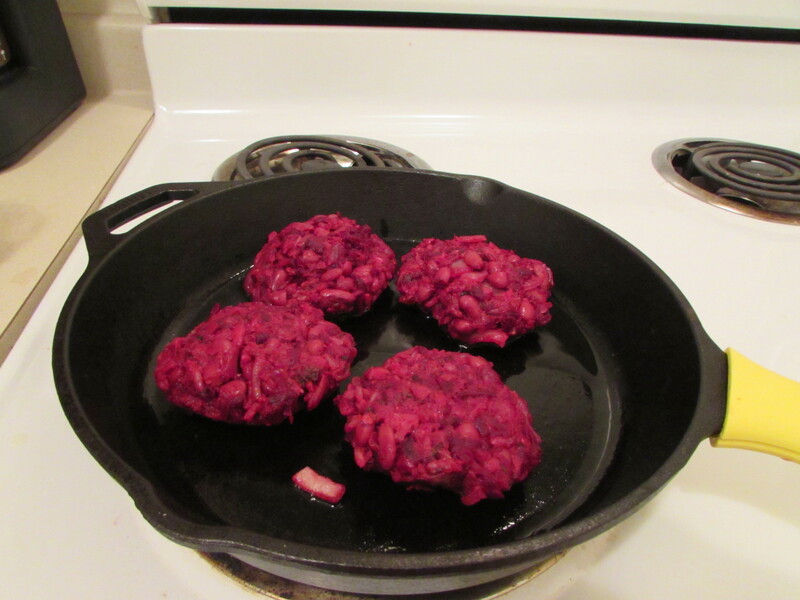 Thank you, Chickpea and Olive, for introducing me to the wonder that is beet burgers (FYI, I had their Bacon Ranch Cheeseburger, which was topped with eggplant “bacon” and vegan ranch) Moist, savory, and earthy: I closed my eyes and sighed as I devoured each tender, beety morsel. Naturally, I had to make my own. 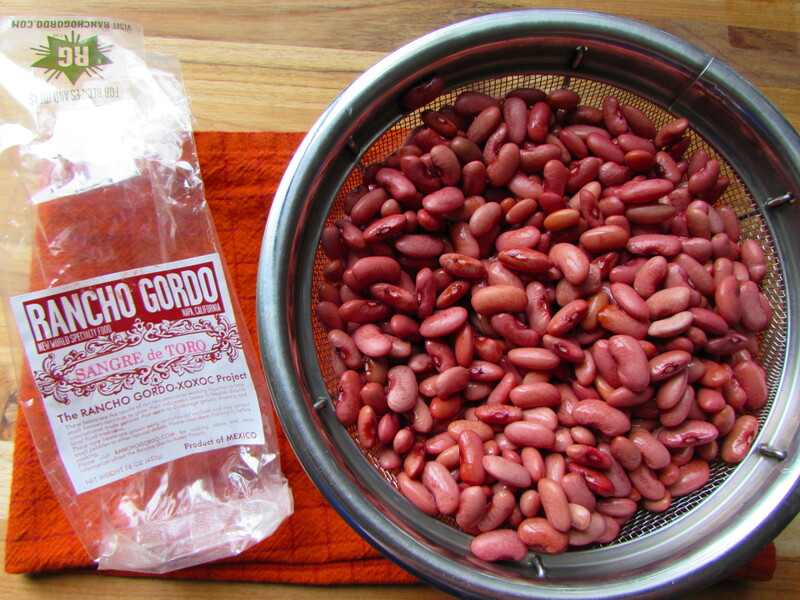 I modified this recipe from The Kitchn, using some pink Sangre de Toro Rancho Gordo beans (because Rancho Gordo makes everything taste better) instead of black beans, adding some sage, using spelt flour instead of oats, and sneaking in a bit more garlic. 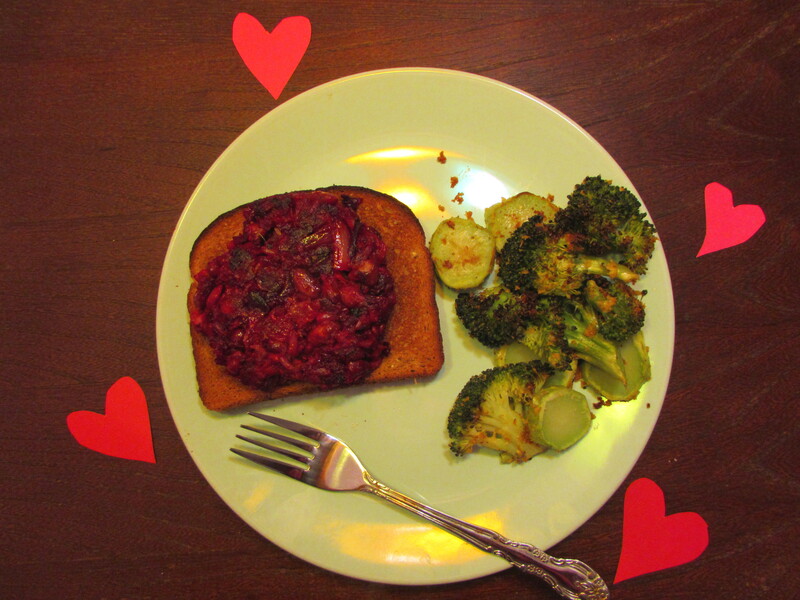 They are everything I remembered from my first beet burger, and more (sorry, Chickpea and Olive). First of all, they are huge, and second, the smoked paprika is really the clutch ingredient, adding a rustic backdrop and making them ever-so-savory. Cooking them in a blazing hot cast-iron skillet gave them a crunchy sear that contrasted nicely with their juicy pink centers. I served these on toasted whole-wheat bread with a side of cheezy roasted broccoli, but they would be equally as satisfying on a whole-wheat hamburger bun, atop a bed of spring mix, or stuffed in a pita with some tomatoes, cukes, and tzatziki (mmmm…now I must go make more of these to do just that). Heat oven to 400 degrees F. Wash beets and wrap them in tinfoil. Bake in oven for 50 minutes, or until soft when pierced with a fork. Let cool. Rub skins off with your fingers. Set aside. In the meantime, cook the rice. Put rice, 1/2 cup water and a few shakes of salt in a small pot. Bring to a boil, cover, and reduce heat to let simmer for 25 minutes, or until cooked al dente. Heat 1 tsp olive oil over medium heat in a sautee pan. Add the onion and a pinch of salt and sautee for 3 minutes, or until translucent. Add in the sage and cook for another 10 minutes, or until the onions are a bit charred on the edges. Add in the garlic and cook for another minute or two. 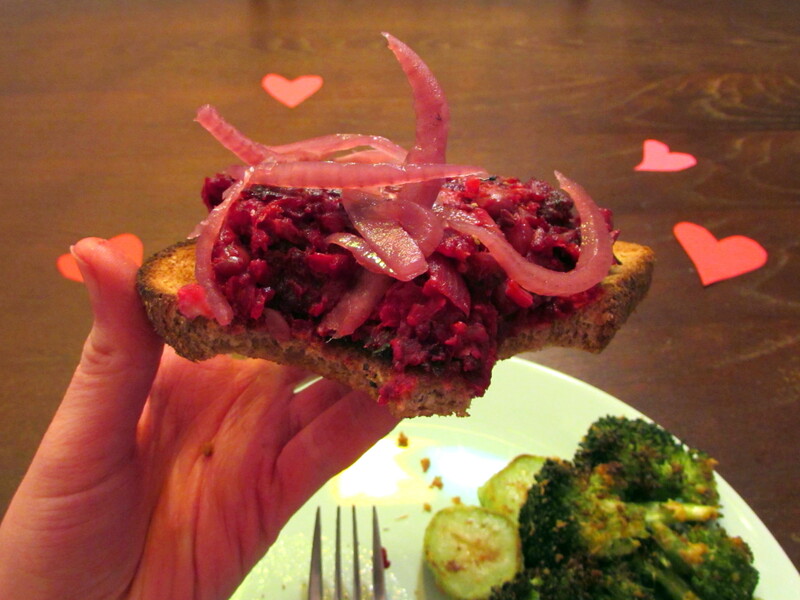 Pour in the cider vinegar to deglaze the pan, and scrape up all the good oniony bits. Remove from heat and set aside. Place 3/4 cup beans in a mini food processor and add the prunes. Pulse until the beans are chopped and slightly mushy, but not all mush. 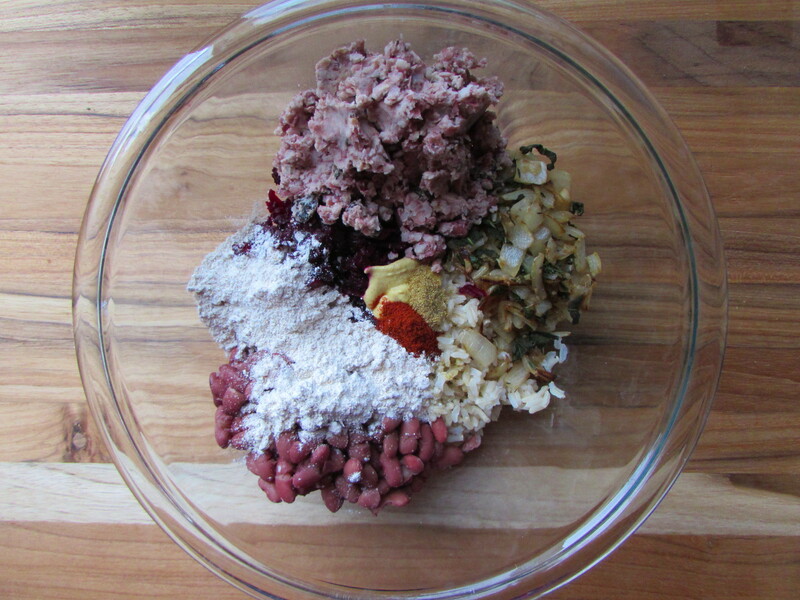 Add to a large bowl with the remaining 3/4 cup beans. 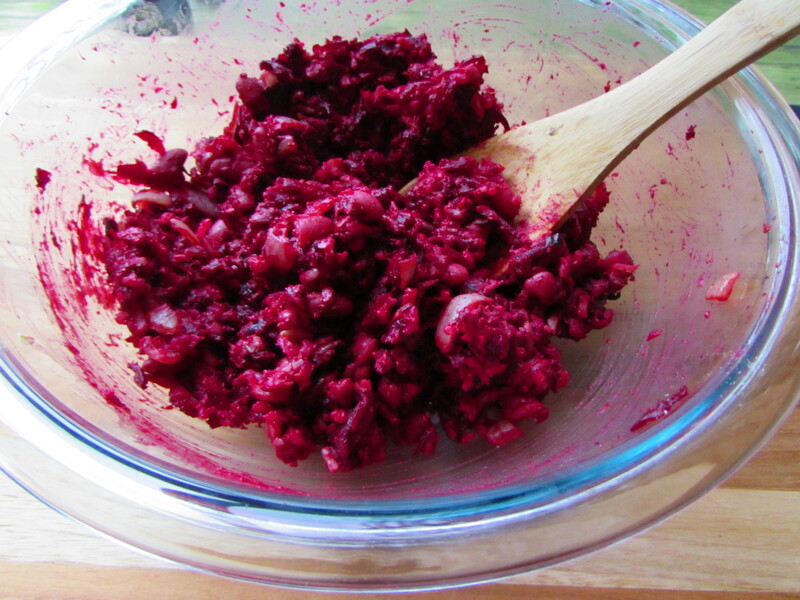 Using a box grater, grate the beets on the large-holed side. 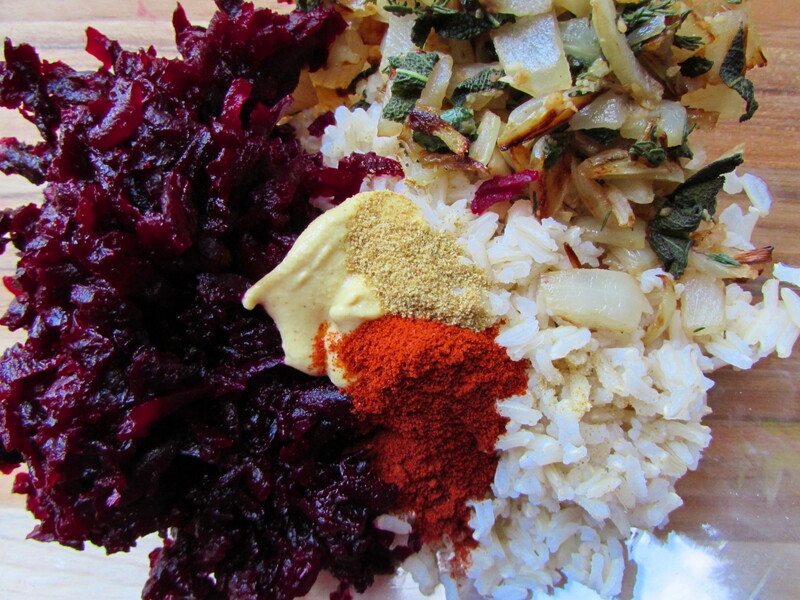 Put the beets in the bowl with the beans, and add the cooked rice, onion mixture, spelt flour, remaining 1 tsp olive oil, smoked paprika, dijon, cumin, coriander, and thyme. Stir, and season liberally with salt and pepper, to taste. Refrigerate the mixture for 2 hours, or overnight, which will give sturdier burger results (see notes). After chilling, form the mix into 5 patties. Heat a skillet over medium-high heat with a thin layer of canola oil over the bottom. The oil is ready when you add a small piece of onion and it starts to sizzle on contact. Add as many burgers as you can fit without them touching one another (for me, it was 3). Cook for 3 minutes, then flip, and cook for 2 minutes. Reduce heat to medium-low, cover, and cook for 5 more minutes. Once cooked, place on a plate lined with papertowels to absorb any excess oil. Repeat with remaining two burgers. Enjoy with all your favorite burger toppings. They will keep for a week in the fridge. Notes: 1) All-purpose or whole wheat flour should work if you do not have spelt flour. If you’re gluten-free, you can also use oat flour. 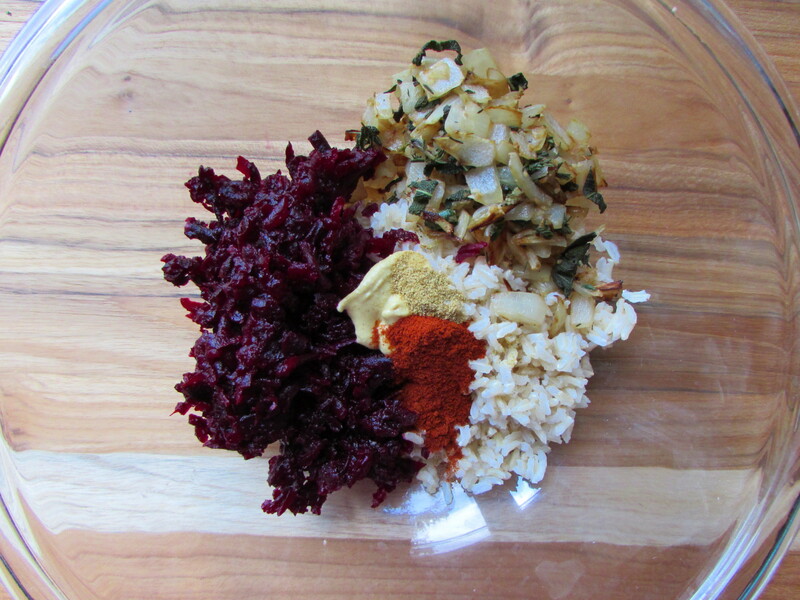 2) You can also keep the mix refrigerated for a few days before using if you want to prep ahead for a party. Looks delish! Came across your blog – love it 🙂 Happy to follow along! Ahh, thank you! ❤ Can't wait to check yours out!